Do you know what your SEO competitors are doing, how they rank in Google, and how much traffic they get? Knowing this information can be the difference between future SEO success or failure. That’s why a competitive analysis is an essential step when developing your SEO strategy. 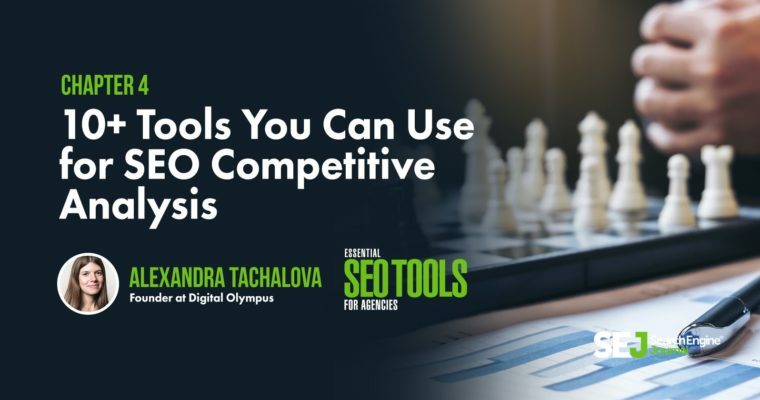 This chapter will explore some SEO competitive analysis tools that can help you answer all (or most) of your questions and provide you with the most accurate data about your client’s current competitive landscape. This section will cover tools that can show you what’s going on in Google SERPs for any domain you want to analyze. Please note that there may be some data discrepancies. The tools listed below work by scraping Google search results and the dataset accuracy mostly depends on the number of keywords that each of these tools has in its database. The reason why the number of keywords matters so much is pretty simple. The more keywords a software has, the better it can show your competitor’s current ranking positions and their estimated traffic. Also, we can’t ignore the logic behind peeking under competitor’s hood. The process is based on matching the keywords for which several domains are ranking: if datasets overlap, chances are these sites are competitors. However, when we try to analyze relatively small sites (i.e., that have less than 1,000 keywords), we come across an issue. For instance, some of these tools can show that a domain’s competitors are YouTube or Wikipedia even though the real competitors are lurking. This tool was founded in 2005 by Marcus Tober and was primarily focused on competitive analysis. After a couple of years, Searchmetrics began shifting its focus more toward the enterprise market. As content marketing influence kept growing, Searchmetrics concentrated on content marketing performance rather than SEO. 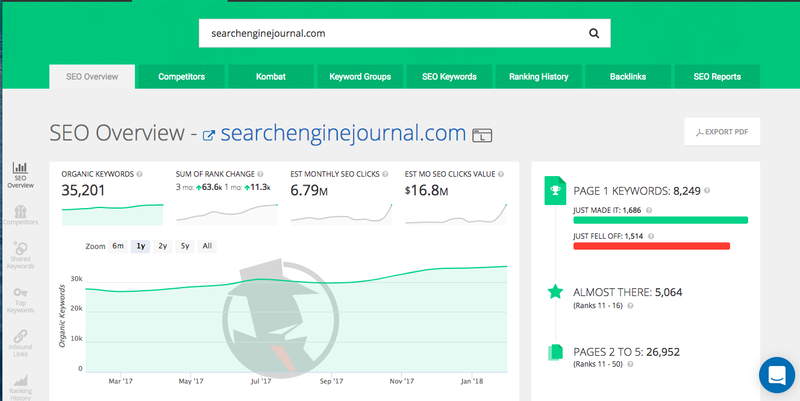 However, the Searchmetrics Suite will still tell you about a site’s position in search, how well a certain domain is ranking in Google, and for what kind of keywords it is ranking for. 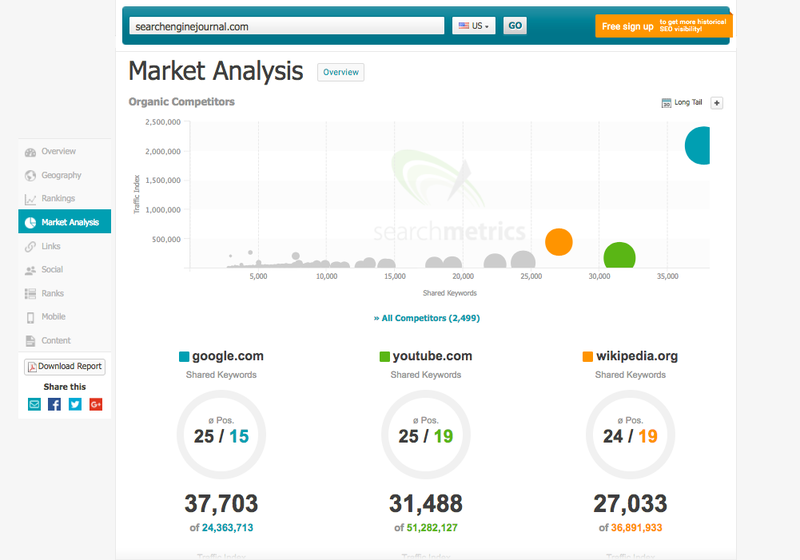 As mentioned earlier, some tools can incorrectly identify your competitors. Searchmetrics, in particular, has an algorithm that is based on matching sets of keywords without considering any additional metrics. However, let’s not jump to conclusions here. Just like Searchmetrics, SpyFu has been around for a while and specializes in providing SEO competitive landscape data. 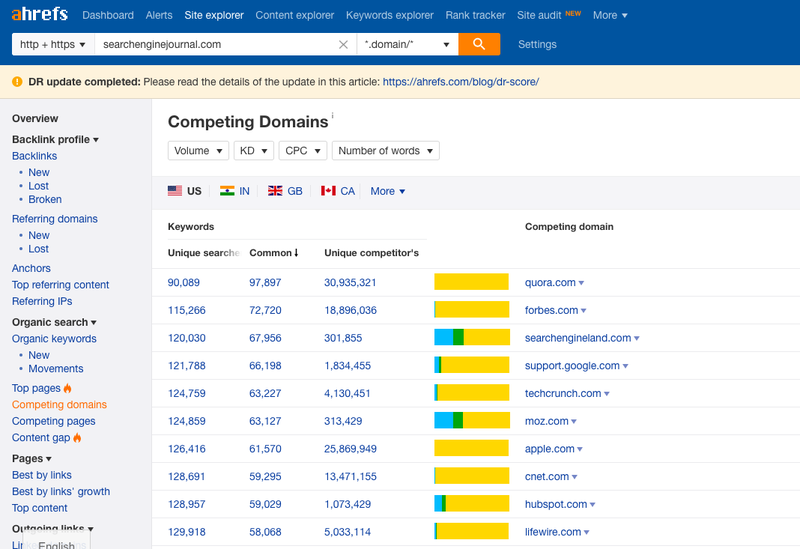 If you’re trying to identify your most aggressive competitors, SpyFu can also give you a list of competitor names for the domain you’re analyzing. The SEO Overview dashboard is another great feature. It seems like most tools visualize their data alike. However, iSpionage supports more search engines including Bing and Yahoo, and covers Google databases like Australia and Canada. 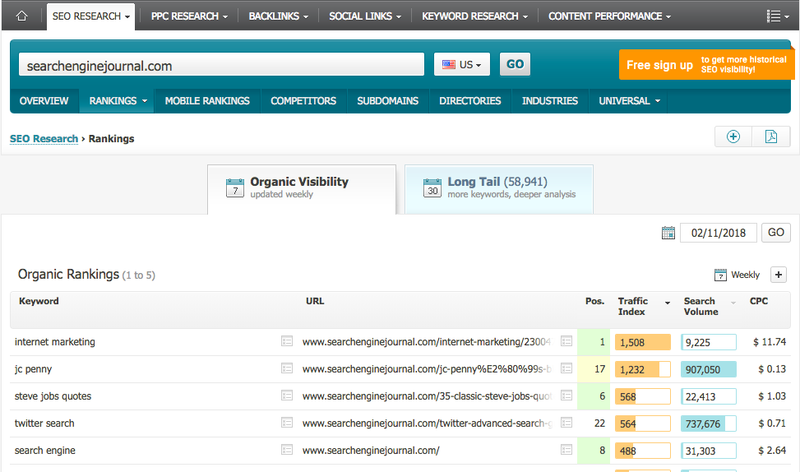 Unlike SpyFu, the list of top organic competitors in iSpionage doesn’t look so well organized. If you go to G2Crowd, you’ll find that SEMrush is the leading SEO software for small and mid-sized businesses. SEMrush supports an extensive database of 131 countries (e.g., Google databases). 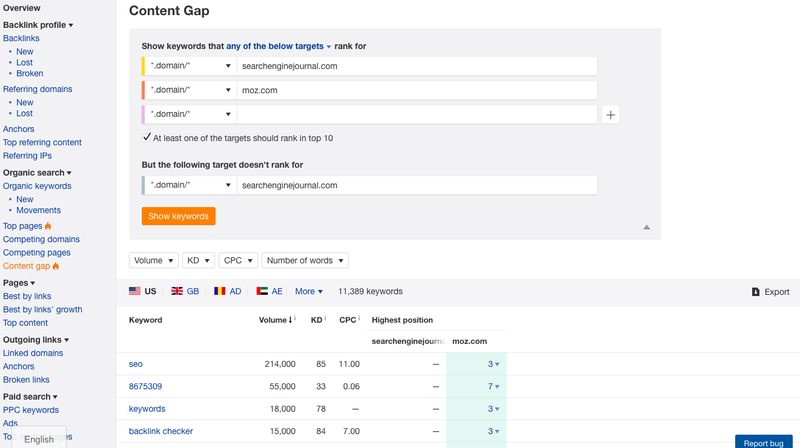 SEMrush also shows you what category (or categories) does a domain belong to based on the keywords for which it ranks in Google. 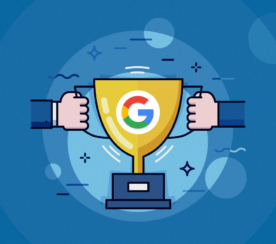 Knowing this will help you locate successful keywords your competitors are using to rank well in Google, and whether those keywords are relevant to your niche. Ahrefs is well-known for its outstanding quality of backlink data and being among the best link tools on the market. Speaking of data accuracy, Ahrefs won’t detect your competitors with precision because Ahrefs doesn’t count in such metrics as the size of a domain or the type of industry a domain belongs to. To organize their data and put things in order, Ahrefs has excluded big domains like Quora, Google, and Apple from their results. This will really improve the overview of the landscape they’re building. 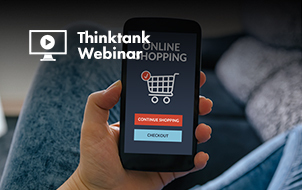 This gives you an opportunity to seize the moment and improve your rankings. 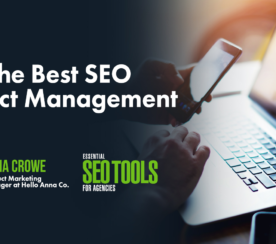 Taking advantage of this information can help you move forward with your SEO strategy. Note: Be sure to read Kevin Rowe‘s chapter, 12 Great Link Building Tools That Are Essential to Your Success, to learn how you can take advantage of analyzing your competitors’ backlink profiles. 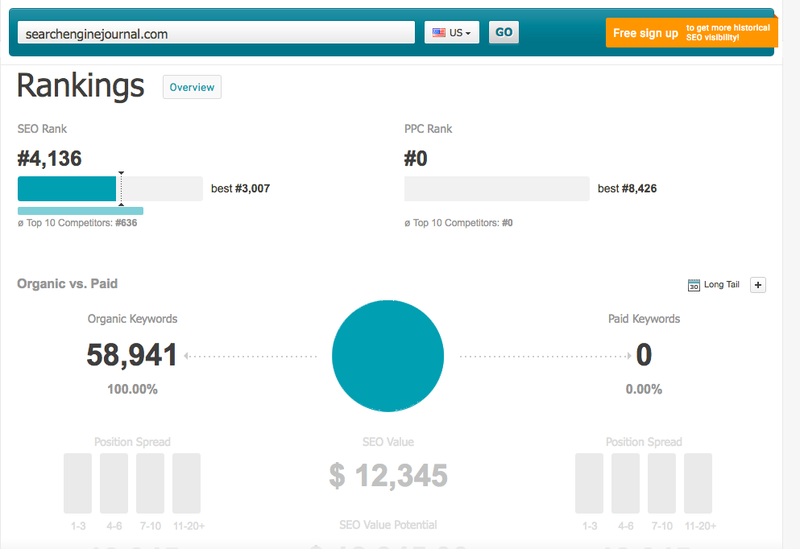 SERPstat is new to the market and seems to mirror features other SEO software tools have. The main dashboard gives you an overview of the most visible pages, which is extremely useful. BrightEdge is an enterprise-level platform that offers many great features for keeping an eye on competitors. 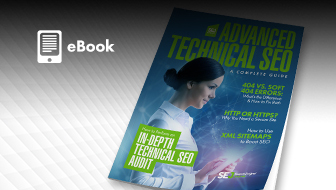 For instance, BrightEdge’s SEO X-Ray technology consolidates myriads of keywords in a “Reverse Index” of the web. 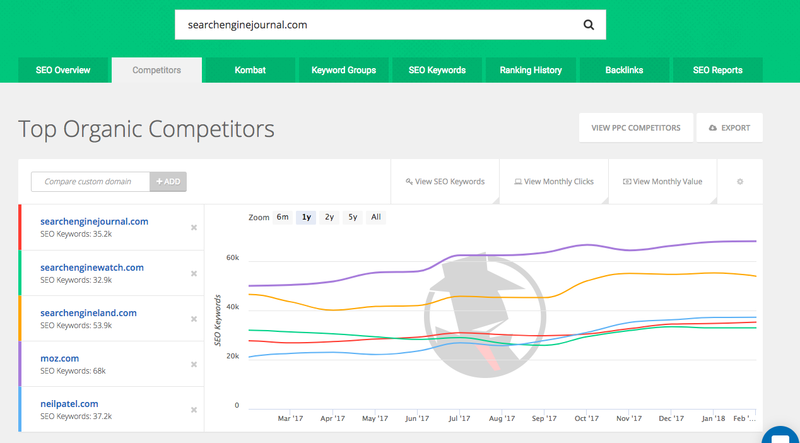 It reveals which keywords are moving your competitors on top of SERPs – and that you should be taking advantage of as well. SEO X-Ray follows the trail of your organic search history and identifies previously unknown competitors so that you can stay alert. 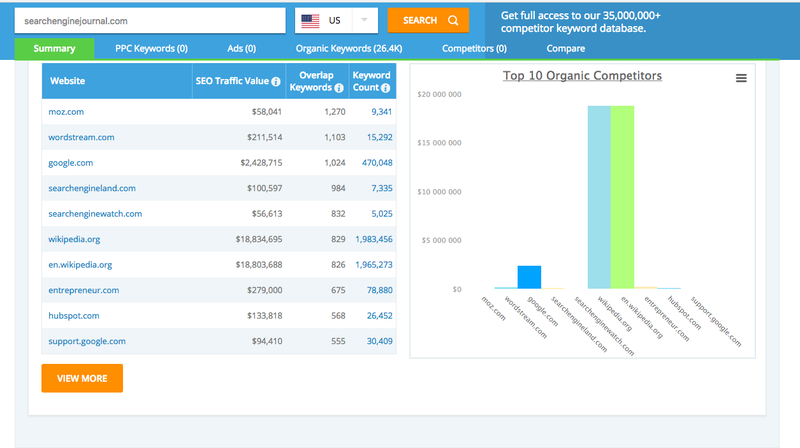 It also lets you analyze your competitors’ SEO campaigns in great detail, along with their recent link strategies, or find which of their single pages drive the most organic traffic. Conductor is another enterprise-level tool you can look into if you need more options. 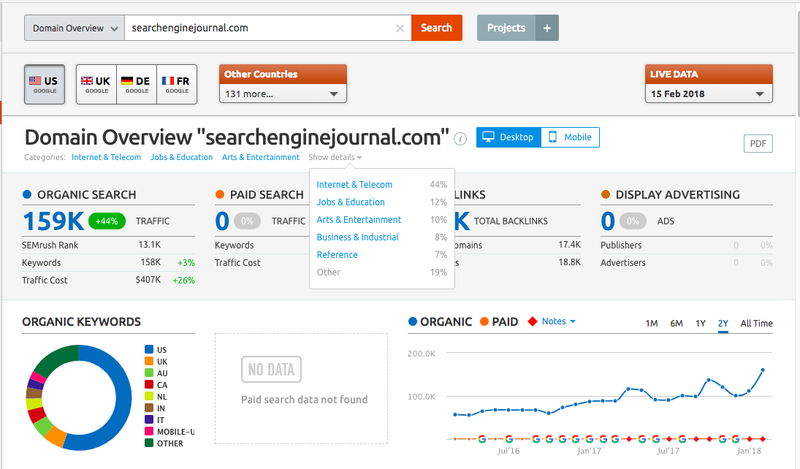 Their source of keyword data comes from SEMrush. 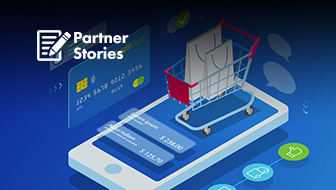 Conductor allows you to view the market share that belongs to a certain brand you’re analyzing by pointing out both its current situation, and estimates its future potential growth. This kind of data can help your clients comprehend their future SEO prospects, and gives reasons why hiring an agency is their best bet. Analyzing the SERPs helps you to understand your competitive landscape and gives you a list of pages that are ranking well in search engines. But the fact that some sites may be showing up on the first page of search results doesn’t necessarily mean they’re getting a lot of traffic. What’s more important is getting access to real user behavior that can reveal hidden SEO opportunities. 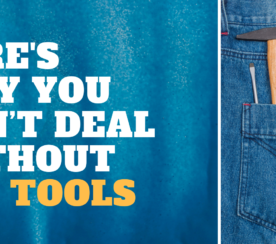 That’s why you can’t survive without tools that can give you traffic analytics insights. 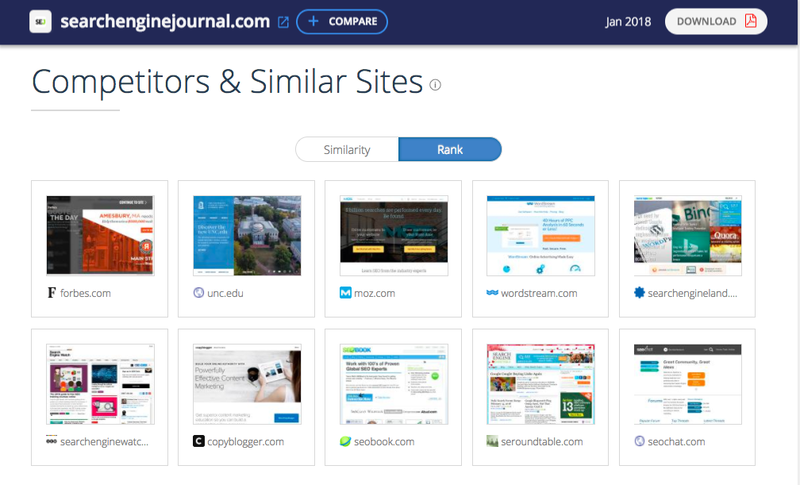 SimilarWeb helps you learn exactly how a site attracts traffic. This tool shows you traffic distribution across all channels (Search, Social, Direct, etc.) and also displays the percentage of search traffic that comes from various search engines. The option of looking up the keywords that bring the most visitors from search engine results is at your disposal. 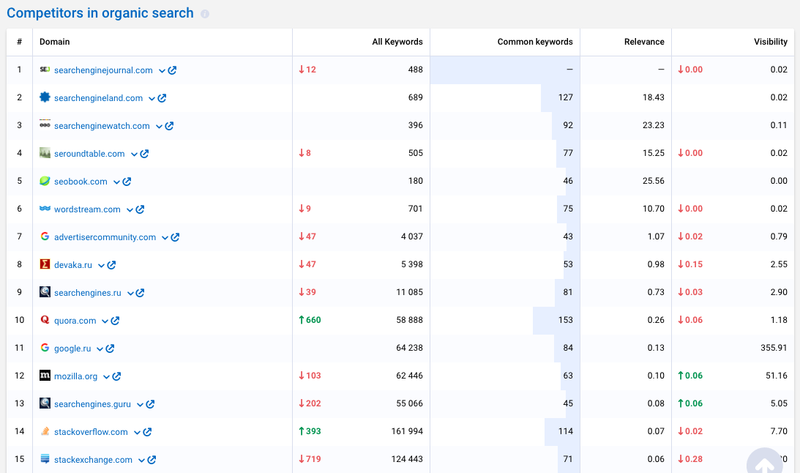 With the help of this data, you can tell for certain which keywords should be your priority because they have the potential to bring more traffic to your client’s site. SEMrush has some traffic analytics data, but there’s still some work that needs to be done to improve its functionality. 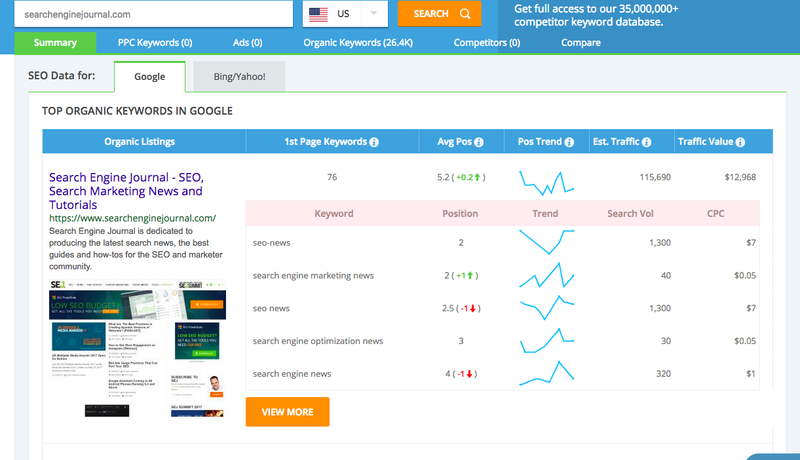 SEMrush offers information about traffic distribution across various search engines but unfortunately provides no keyword data. 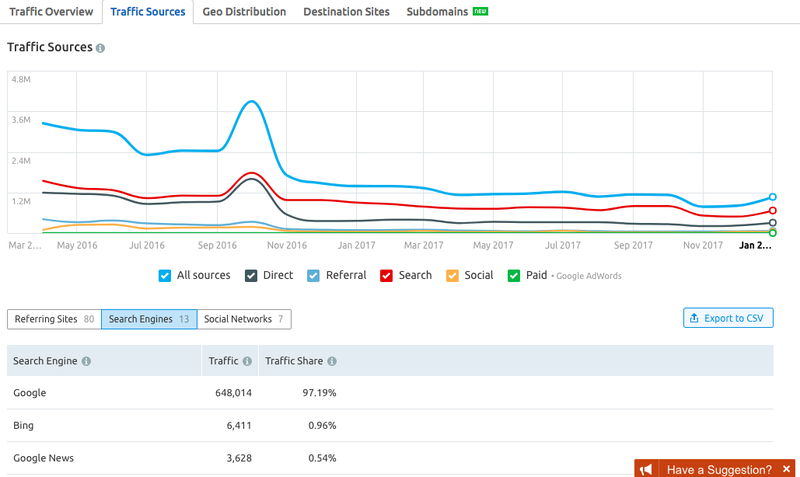 SEMrush Traffic Analytics doesn’t have any data for mobile devices, so for some industries where the volume of online traffic is always high, this data may not be so valuable. Historically, the biggest complaint against Amazon-owned Alexa has been its inaccurate data. Originally, Alexa’s traffic data was gathered from users of the Alexa toolbar. That all changed in 2008 when Alexa updated its ranking systems to include more sources. However, it’s really hard to say how much the data has changed, for the better or worse, since that time. Regardless, Alexa is still a popular service that boasts a lot of (paid) competitive analysis reports that can give you a good representation of demographics and traffic data. Quantcast used to have a product comparable with SimilarWeb, but about a year ago they’ve decided to get rid of their standard solution and switched to custom-made reports that represent unique datasets based on clients’ needs. 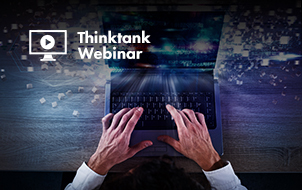 This tool can be a good fit for enterprise-level clients who want to see custom-based datasets to further interpret what’s going on in their industry. Jumpshot is a promising and overall consistent tool that launched only a couple of years ago. Its data comes from Avast – and the data quality is high. Jumpshot can also shed some light on such intricate data like CTR of a specific button located on your rivals landing page. Not bad for competitive intelligence. Hopefully, you can now make an informed decision as you’re selecting your competitive analysis tool. There are many great tools available – but ultimately it’s about choosing the tool that is right for you.